For Charles Johnson, it has been a long time coming. Meanwhile, this feels just about right for Dakota Bush. Legacy Fighting Alliance 21: Noblitt vs. Branjoe will take place Friday at the Branson Civic Center and the main card will air live on AXS TV. 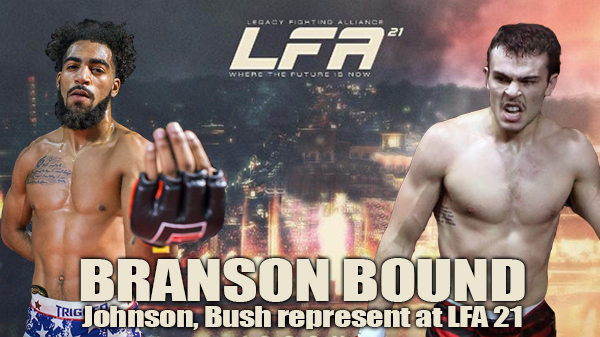 The undefeated pair of Johnson and Bush are the lone St. Louis representatives on the main card. Johnson is a high-level athlete. In college he was second-team All-OVC distance runner at Southeast Missouri, he was also an All-State selection in high school in both track and wrestling while at Class 4 Hazelwood East, where he now serves as an assistant wrestling coach. His long-distance-running lungs paired with exceptional wrestling powered him to a record of 21-3-1 as an amateur. Since turning pro in June of last year, the now 26-year old Johnson rattled off three fights in six months, before a five-month break leading up to a fight in June with Michael Graves that he won by unanimous decision. With dogged determination, Graves went after the takedown on Johnson for all three rounds. 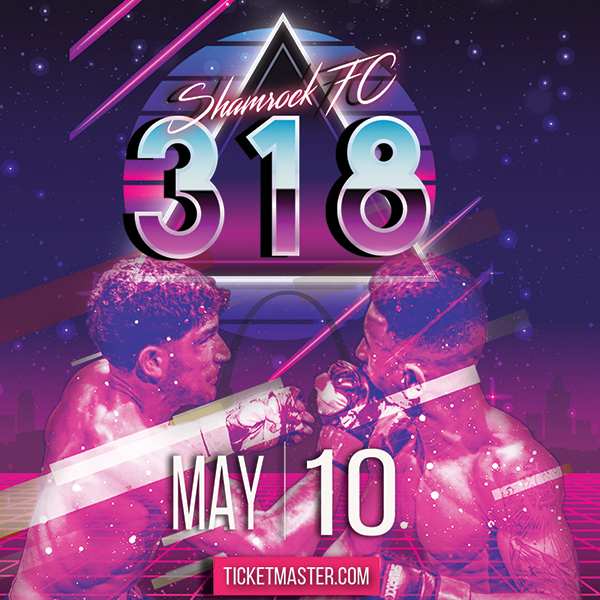 In a bout that had plenty of scrambles, reverses and position changes, Johnson, out of St. Charles MMA, calmly stayed in control throughout, throwing whipping hammer fists and searching out submission attempts throughout. Time and time again, Johnson (4-0) has watched his SCMMA teammates compete and succeed on national television. Come Friday, it will be his turn. “I am very grateful for this opportunity,” Johnson said. “I have continued to build myself up as a fighter and I have been ready for anything. I knew the opportunity would come if I just kept winning." Johnson will face Jeremiah Cullum (4-1) out of Arkansas. Cullum has never been out of the first round. Johnson is confident that his wide variety of skills will keep momentum in his favor come Friday. Johnson said for this camp the focus has been on not just movement but movement with a purpose. Bush, 23, is a 3-0 lightweight. He will face LFA veteran Jose Martinez (7-2) in the first televised bout of the evening. Bush was originally slated to fight James Wallace but a broken nose occurred in training leaving the door open for Martinez, a southpaw from Oklahoma. Look for Bush to be in Martinez's face from the jump. Bush was a two-time state qualifier as a wrestler in high school. He followed in the footsteps of his dad and took his first MMA fight at 18. He started his amateur career 3-1, primarily training on his own, before partnering up with Patrick Smith. Smith is the longtime promoter of Cage Championships and is the head coach of the Smith Pit, the tiny gym that notably created current UFC middleweight/light heavyweight Jake Collier. Busch has long been a training partner of Collier's and the two work out daily together. On Tuesday's and Thursday's, Garrett Mueller and Chel Erwin Davis – both much closer in weight to Bush – arrive at the Smith Pit for weekly go's. Since being under Smith, Bush has yet to lose a fight and his striking has radically improved. Bush started off 2017 with a unanimous decision win over veteran CJ Hunter in March. Tickets to this event can be found at CombatTickets.com. Fighter photos courtesy of Bob Barton Photography, and Sara Levin Photograph.